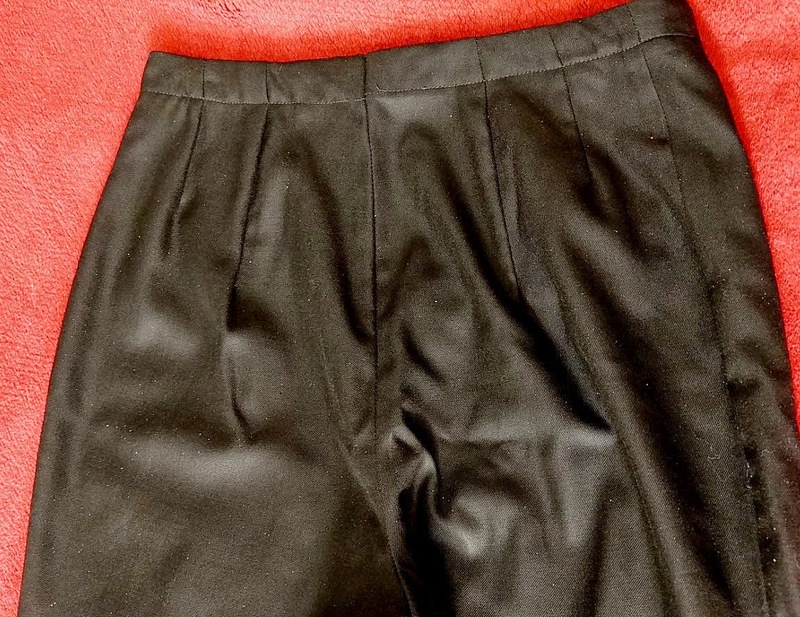 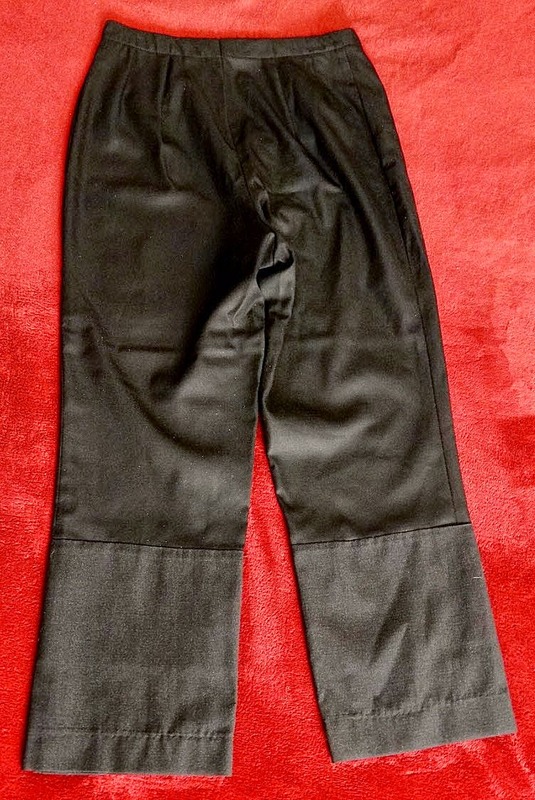 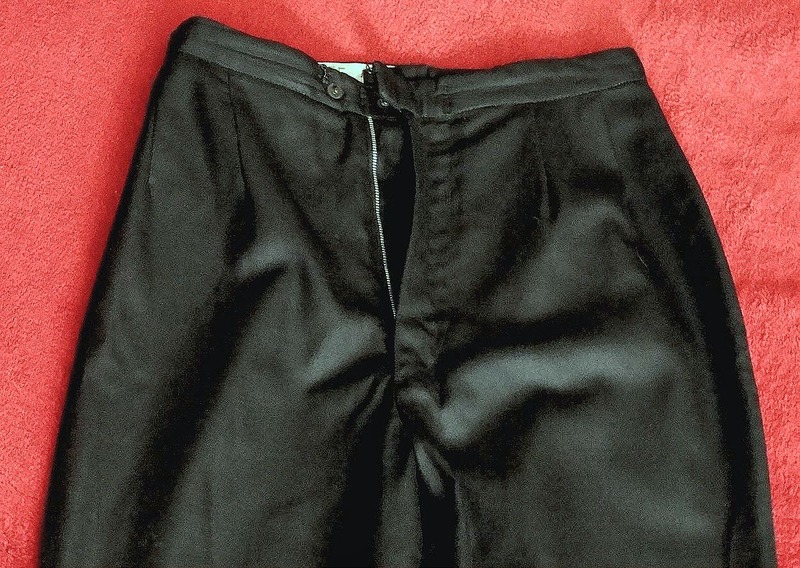 Presented below are some detailed images of an extremely rare set of Women's Starfleet uniform pants that were first worn by actress Andrea Dromm in her role as Yeoman Smith during the 2nd TOS pilot production "Where No Man Has Gone Before", and then used by actress Grace Lee Whitney for a series of very early promotional photos with William Shatner and Leonard Nimoy. 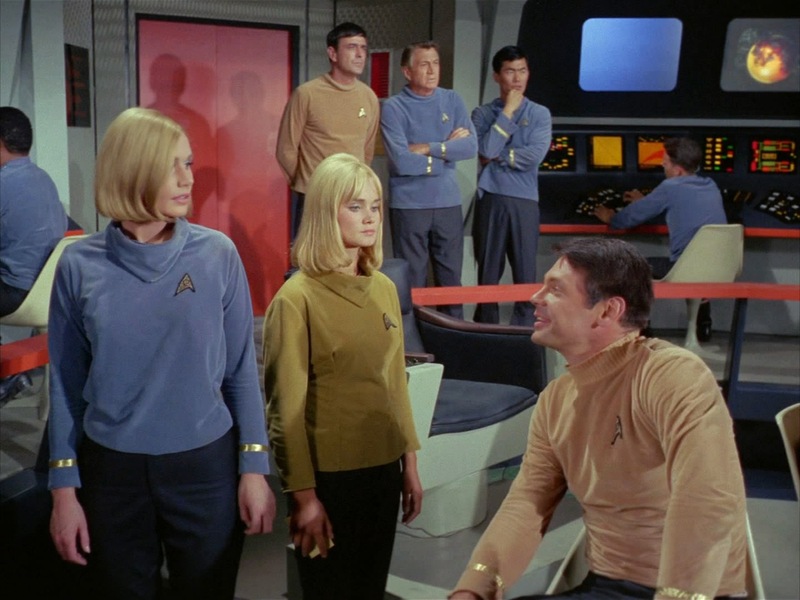 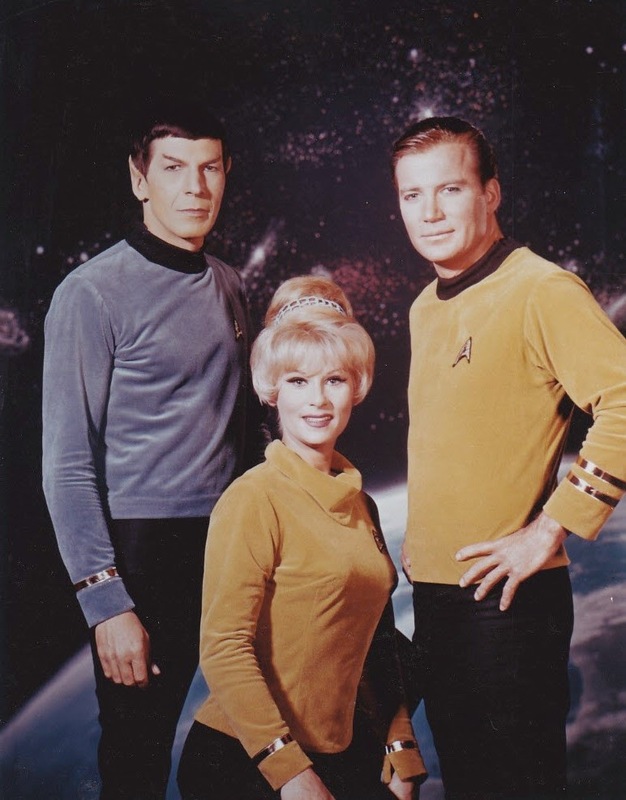 Pants only appeared on female Starfleet crew members during the first two Star Trek pilots; as the familiar mini-skirt dress Starfleet Women's uniform was then employed for all three regular seasons of TOS episodic production. 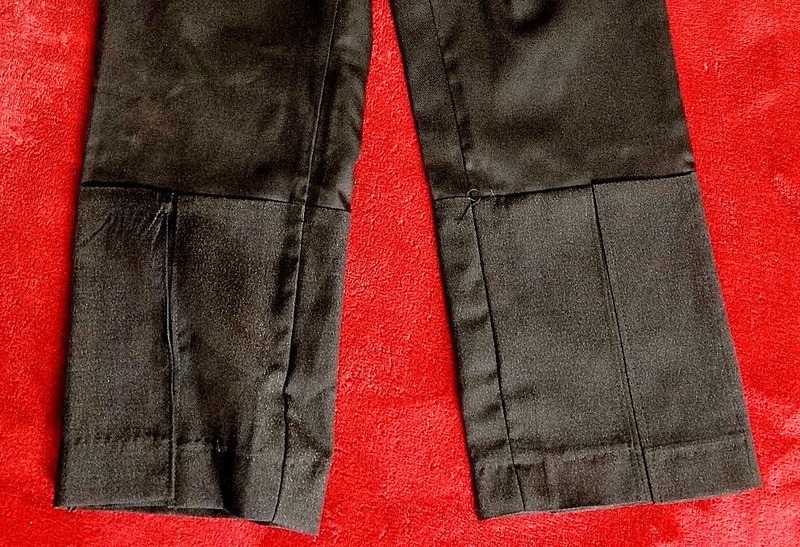 These pants are constructed of standard black gabardine material and feature long extended pleated flare cuffs at bottom composed of a special silver speckled black fabric. 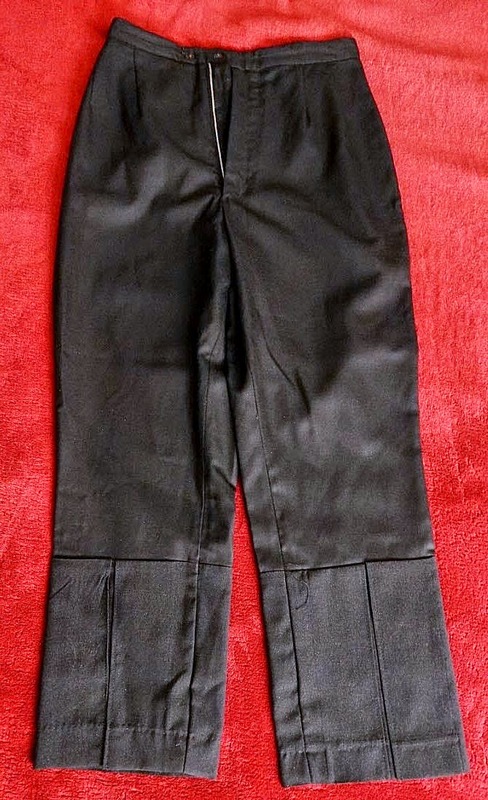 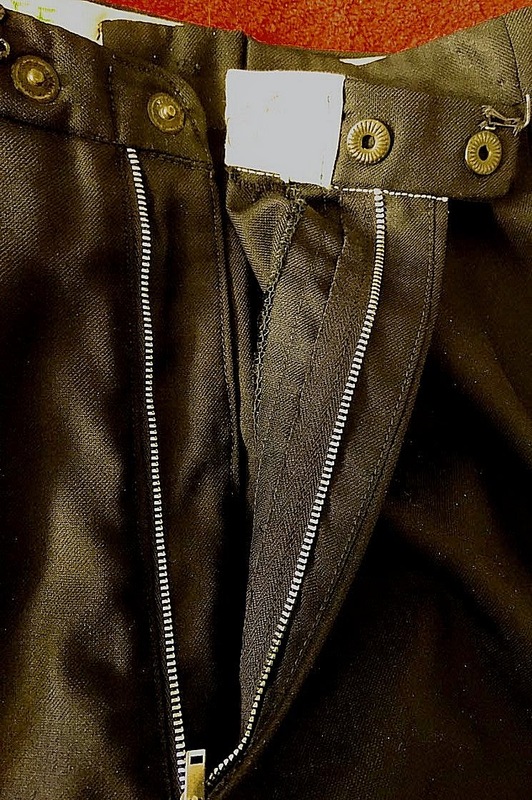 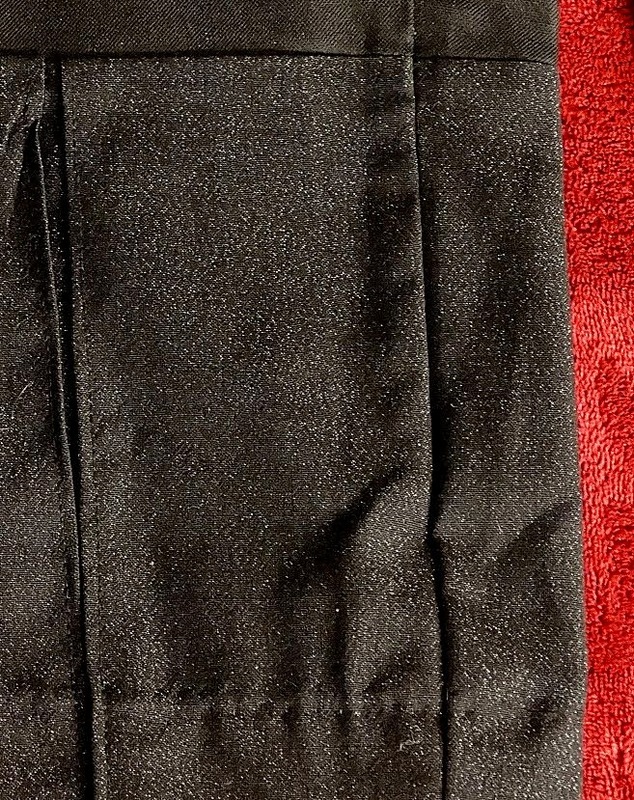 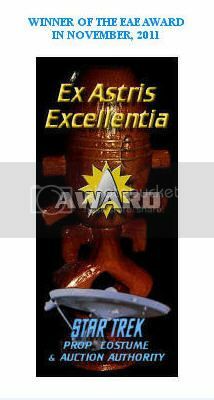 In 1977, as part of the studios preparation for the filming of the ill-fated Star Trek: Phase II television series, which would eventually transition into Star Trek: The Motion Picture, all pairs of TOS uniform pants in the Paramount costume department inventory were altered - including this set - to extend the overall leg length by adding the pleated cuffs and eliminating the very short bell bottom styled flare that previously ended the pants at mid-calf height. 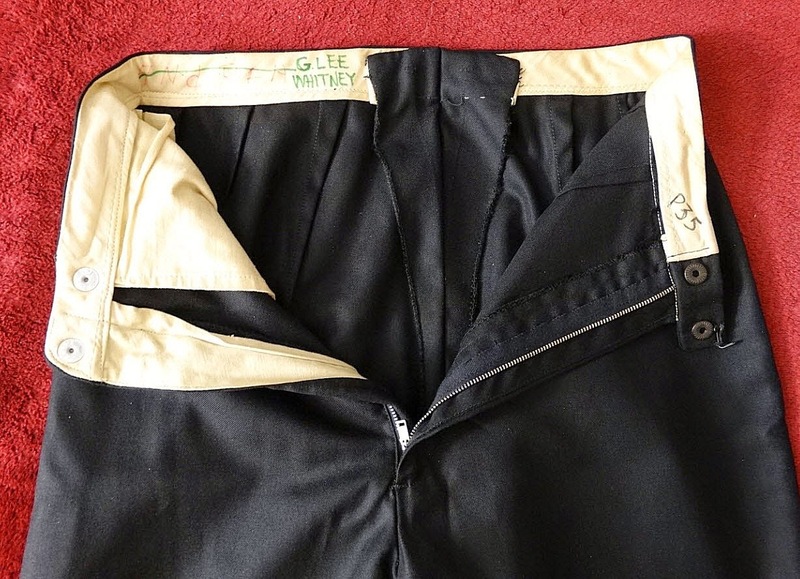 Some photos that feature Andrea Dromm and Grace Lee Whitney wearing this pant set are presented immediately after the modern day images. 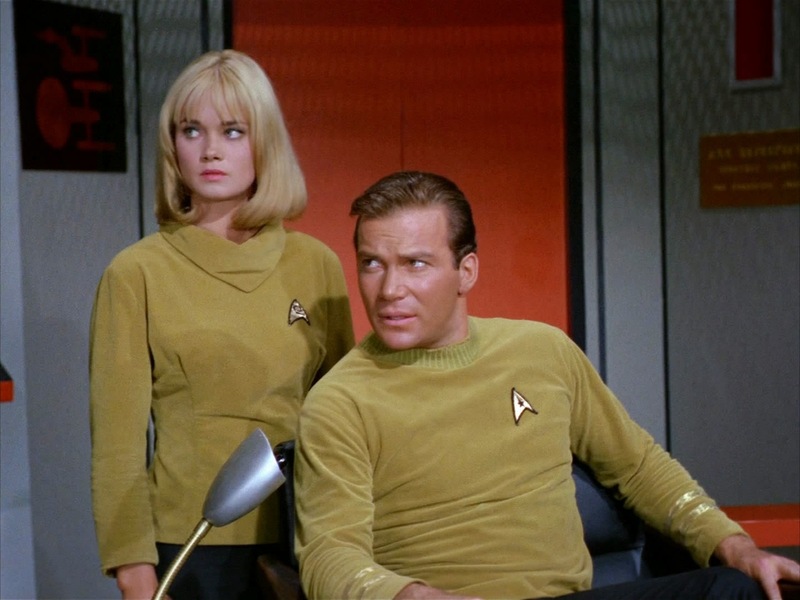 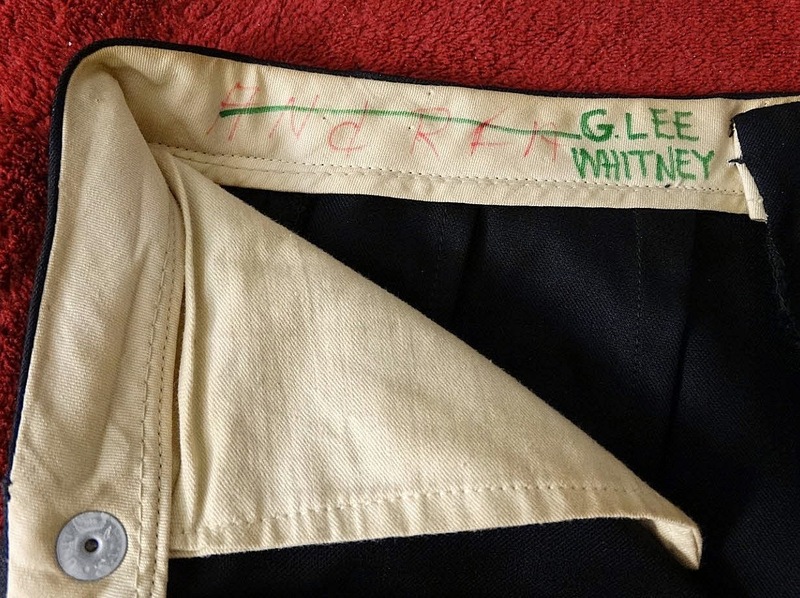 Note that the pants were originally marked "Andrea" for wear by Dromm in "Where No Man Has Gone Before" and then re-designated for use by Grace Lee Whitney. 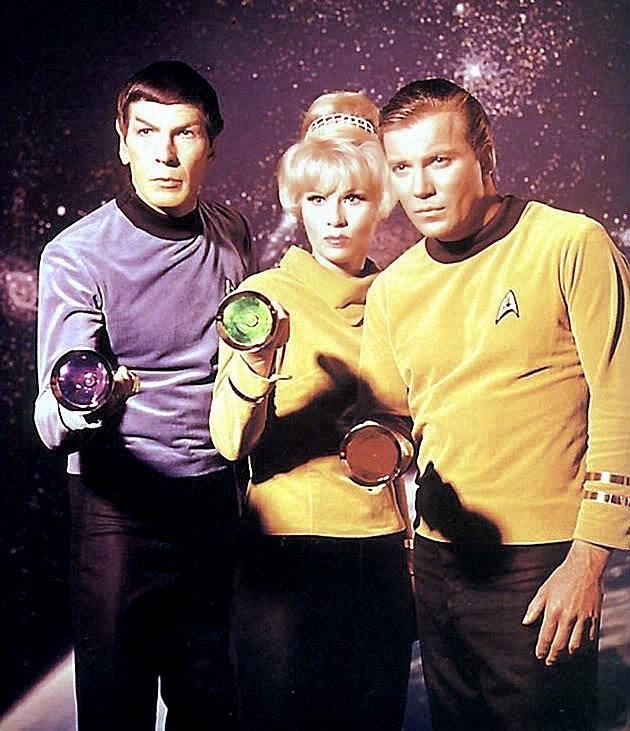 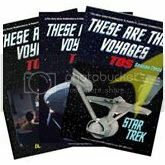 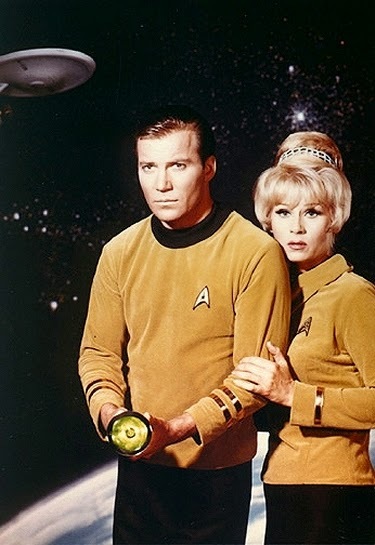 Andrea Dromm decided against returning to play the Yeoman on Star Trek when the series was sold to NBC, instead electing to accept a role in the 1966 Carl Reiner film "The Russians Are Coming, The Russians Are Coming". 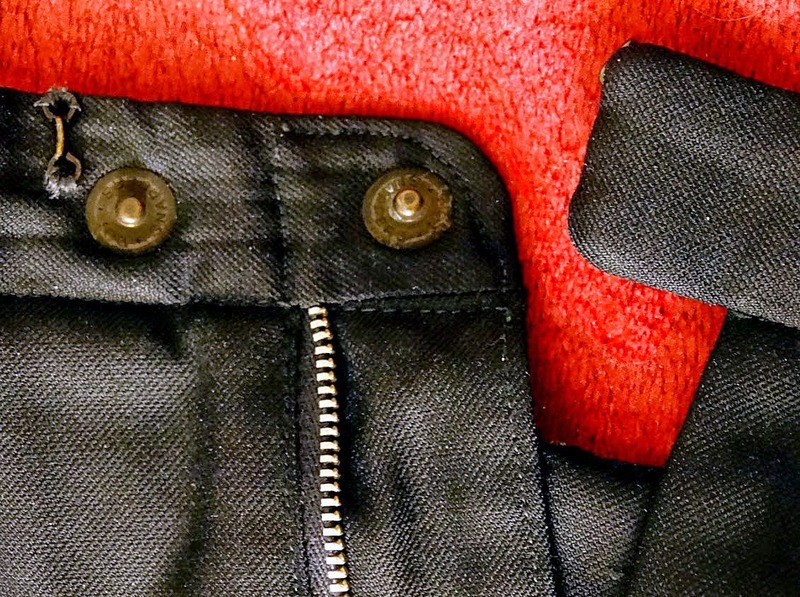 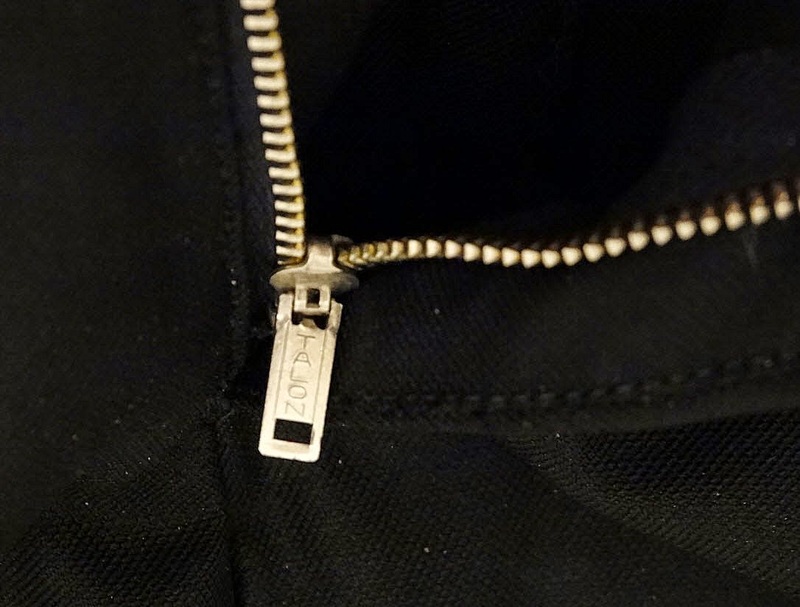 These pants feature a completely hidden pocket, accessible only from the interior. 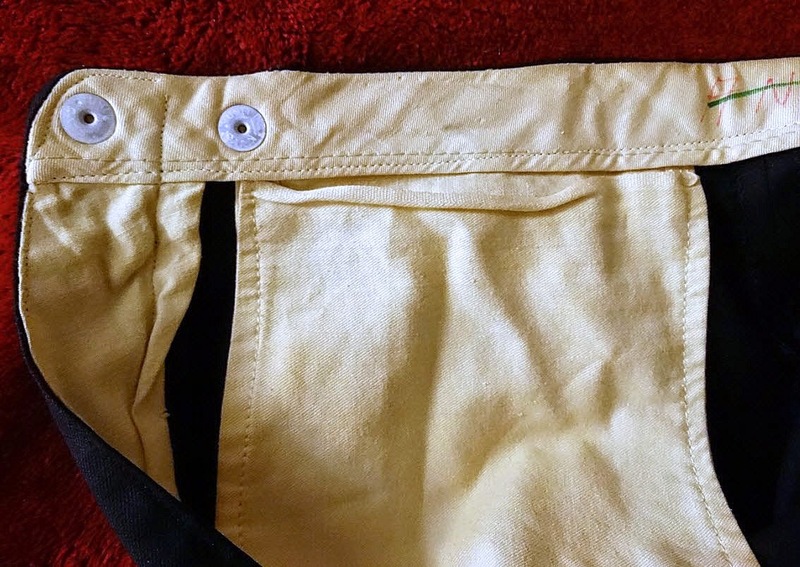 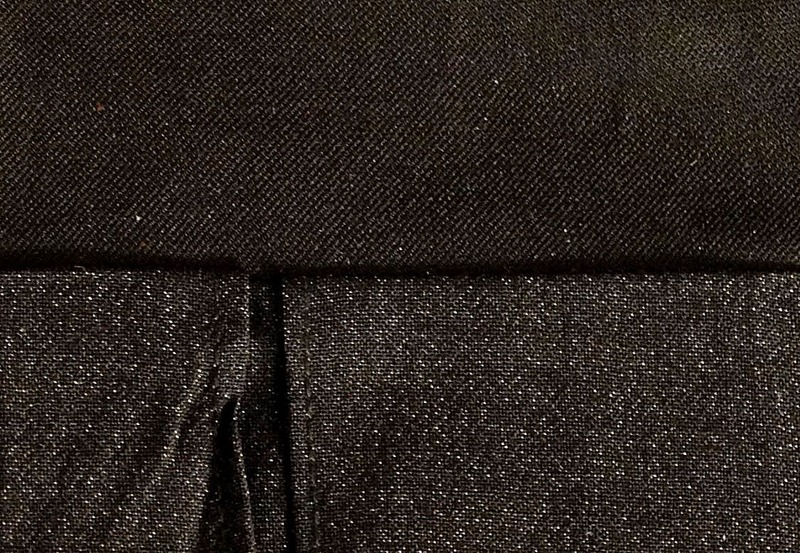 Later versions of the men's Starfleet pants featured front pockets which did have horizontally aligned openings on the outside, very high up by the top waistband. 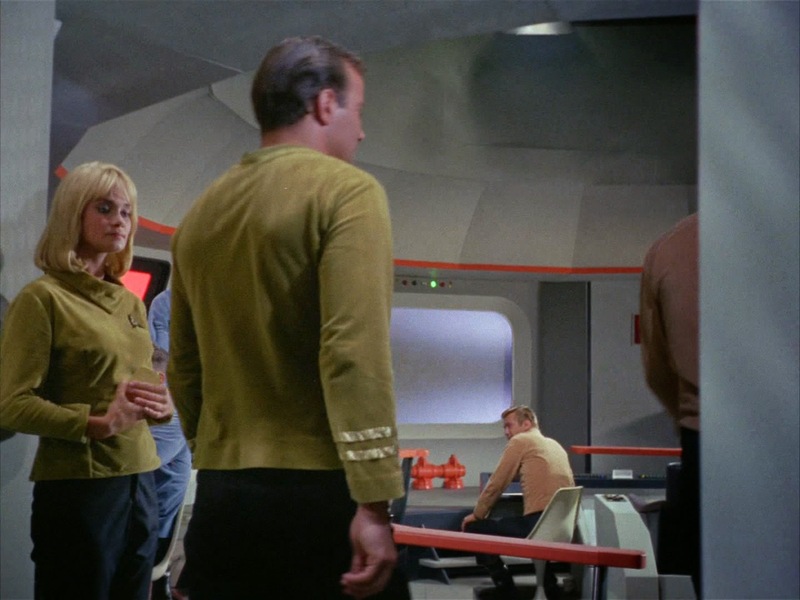 Those opening slits were typically well covered by the Starfleet tunics and thus not visible during regular filming.